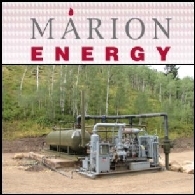 Marion Energy Limited is following a low risk strategy of pursuing gas reserves and associated production in the Rocky Mountains and Mid-Continent regions. The Company's activities are generally within the geographic confines of or adjacent to known production and within easy access of existing pipeline infrastructure. We have been able to accumulate an enviable lease position where the company is undertaking a highly successful development drilling program. Marion Energy Limited (ASX:MAE) (PINK:MAEJF) is pleased to announce that it has received regulatory approval from the Division of Oil and Gas and Minerals to commence the conversion of the ASD 3-17, and if required, the ASD 6-17 wells at Clear Creek into salt water disposal wells. 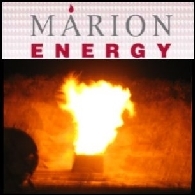 Marion Energy Limited (ASX:MAE) is pleased to report that it has recently recovered gas flows from the unconventional Ferron Coal Seam measures encountered in the Oman 2-20 well located at Clear Creek, Utah, USA. Current remediation/workover operations on the Ferron Sandstone reservoir in this well have now also started to recover gas from the unconventional Ferron Coal Seam measures. This gas is in addition to the gas currently being recovered from the conventional Ferron Sandstone reservoir. In line with recent market updates, Marion Energy Limited (ASX:MAE) (PINK:MAEJF) is pleased to advise that it has now finalised the development of its work program and production targets for the 2010 calendar year. The program has been developed in conjunction with the completion of a comprehensive review of all operations and will focus on delivering significant revenue and cash flow through the cost efficient recommencement of production from 13 wells in the Clear Creek field. Marion Energy Limited (ASX:MAE) (PINK:MAEJF) is pleased to advise that it is expanding its Clear Creek, Utah, USA well workover and remediation program by targeting an additional five existing wells. The expanded program will take to thirteen the number of wells targeted for production by the end of 2010. 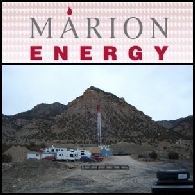 Marion Energy Limited (ASX:MAE) (PINK:MAEJF) is pleased to announce that following short term injectivity testing operations, it has received an aquifer exemption from the Utah Oil and Gas Board. The exemption is the first stage in the approval process to convert Clear Creek ASD 3-17, and if required, the ASD 6-17 wells into salt water disposal wells. Application has now been made to the Utah Department of Oil and Gas and Minerals for the issue of the appropriate permits to complete the well conversion process. 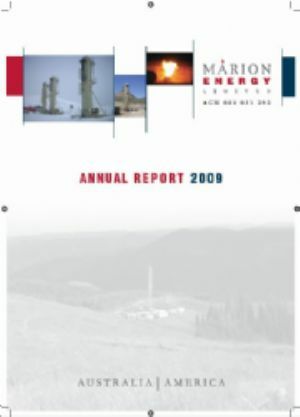 The March 2010 Quarter saw the Company commence a number of initiatives aimed at providing a sound foundation to enable it to successfully develop its considerable reserves and resource in ground and provide significant demonstrable progress in field operations over the next six to nine months. 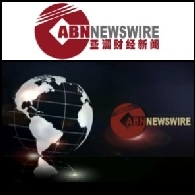 ABN Newswire stocks to watch today include: Marion Energy Limited (ASX:MAE), Texon Petroleum Limited (ASX:TXN), Magnetic Resources (ASX:MAU), Image Resources NL (ASX:IMA) (PINK:IMREF), Pacific Enviromin Limited (ASX:PEV), Krucible Metals Limited (ASX:KRB), and Havilah Resources NL (ASX:HAV). 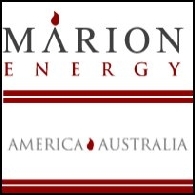 Marion Energy Limited (ASX:MAE) (PINK:MAEJF) is pleased to update and outline its corporate, operational and capital strategy for the Company as it moves into increased production through the implementation of its operational program across its North American onshore gas assets. Marion Energy Limited (ASX:MAE) (PINK:MAEJF) is pleased to announce that it has restructured its senior secured debt facility to give the company greater flexibility to manage the ongoing development of its Clear Creek well rehabilitation program. The restructure, agreed with its international bankers, BNP Paribas Fortis and Fortis Netherlands, represents an important improvement to the Company&apos;s balance sheet.